Konzert fur Viola und Orchester. 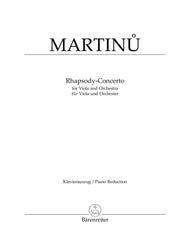 Composed by Bohuslav Martinu (1890-1959). Edited by Jurgen Sommer. Stapled. Piano Reduction/Viola Score. Composed 1952. 43305 pages. Duration 25 minutes. Baerenreiter Verlag #BA04316-90. Published by Baerenreiter Verlag (BA.BA04316-90). ISBN 9790006446872. 31 x 24.3 cm inches. 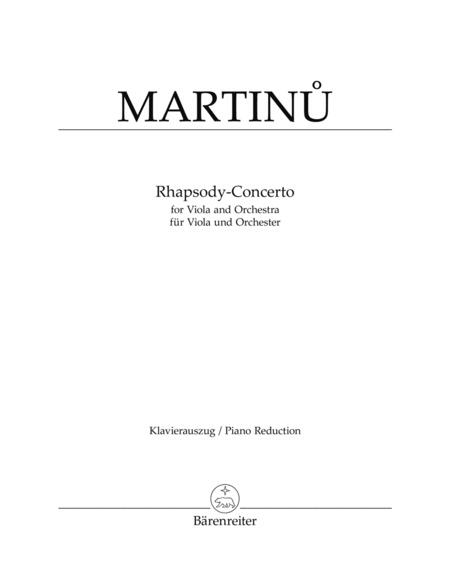 This is perhaps the most well-balanced concertante work by the Czech composer, a composition which seems to have been cast in a unified whole and to have nothing in common with the looseness of formal design suggested by the title, except perhaps the imaginative richness of the thematic transformations. This is a particularly valuable addition to the limited repertoire of works for solo violists.